The responsibility of this unit is to maintain a safe and orderly environment for citizens and visitors in all areas of Broadwater County. 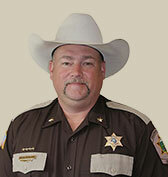 Few would dispute the fact that deputies assigned to the Patrol Division are the backbone of the Sheriff's Office. These are the men and women who are the first to respond to your call for help. They are almost always the first to arrive on a scene and give aid and comfort to the injured. They often put themselves in harm's way every day they are on the job to stabilize a violent domestic call or when they search a dark building for a dangerous suspect. They pull victims out of burning buildings or give the first life-saving breaths of CPR to the child they have just pulled out of a backyard swimming pool. They serve and protect the citizens of Broadwater County and they do it with little recognition or fanfare. They take it all in and see what they do as simply part of their jobs.